Solid performance – in the pipe, over the top, or in the manhole. 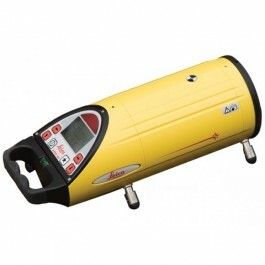 Compact and powerful, the Piper is the only pipe laser that fits inside a 100 mm/4 in pipe. Self-centering, rubber tipped feet ensure the Piper stays working. Rock solid construction with cast aluminum housing for the toughest jobsite conditions. Optional scope and mount kit for above ground setups. Versatile, yet simple to operate and user friendly. Its unique design and wide stable base make the Piper easy to set up even in the smallest invert. The Piper is 100 % waterproof with a positive pressure nitrogen seal.